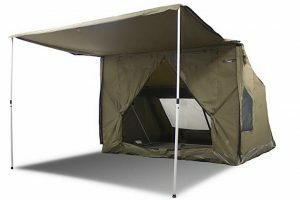 Whether for a picnic, camping holiday, day out on the boat or just watching the game, the Esky is an essential piece of kit for the Australian Summer. 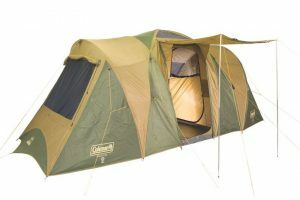 Below we review what we consider to be the best Eskies currently available in Australia. 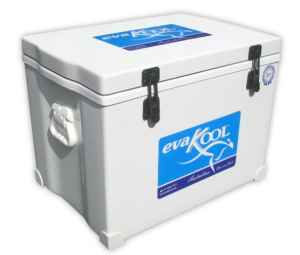 Arguably Australia's favourite ice box, this range from Evakool is made from fibreglass, which reflects the heat, meaning ice stays frozen for longer. Handmade with refrigeration quality insulation, this is one of the highest performing ice boxes on the market. The high gloss fibreglass looks great, is hygienic as doesn't absorb flavours or odours, and is easy to clean. With ice storage of up to 15 days, and a super solid construction designed specifically for the Australian outdoors, this is likely the only Ice Box you'll ever need. 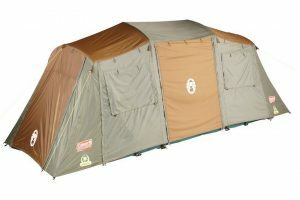 Perfect for camping or 4WD trips, this range offers extended cooling. 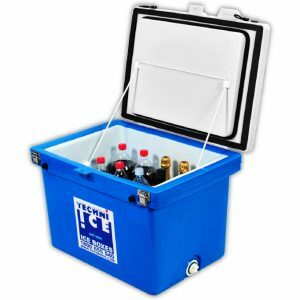 Solid as a rock and right up there for insulation, Techni Ice ice boxes are massively celebrated for their reliability and performance in Australian conditions. 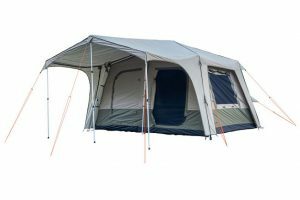 The Signature Range boasts an incredible 8-25 days and offers full length under skids to reduce slipping, dual seals, marine grade rope restraints, and a high-quality food grade inner liner. With their origins in the commercial market, Australian owned Techni Ice pride themselves on being at the forefront of icebox technology. 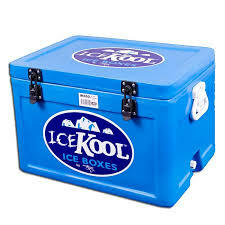 Another absolute champion of Australian summers, the IceKool ice box boasts top notch insulation, durability and quality, and looks great doing it. 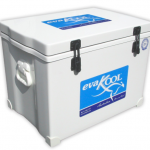 Manufacturers EvaKool claim up to 10 days of ice storage with the IceKool box. 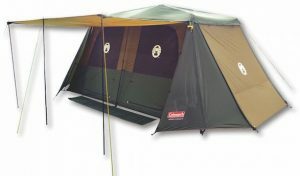 This option provides great balance between value and performance in the Evakool range - recommended for general use. A rugged high performance ice box at a competitive price point, the Techni Ice Classic Range keeps ice for 5-16 days. 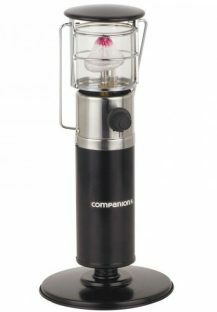 Otherwise it offers similar features to the Signature range. From industry leaders EvaKool, the IceKool 25 litre definitely won’t let you down in terms of performance or durability, and it’s the perfect size to take to the park, beach, or away for a weekend camping. 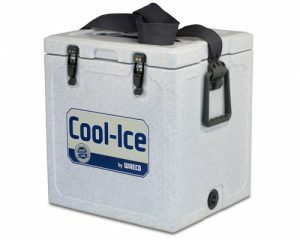 This great looking cooler box has solid rubber handles along with a shoulder strap for transportation. 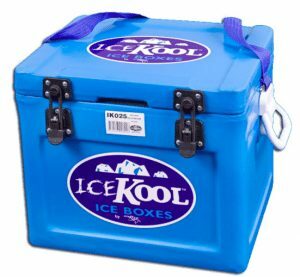 The IceKool really is an all around great choice that will last you many summers. 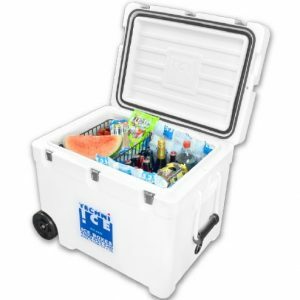 A great looking cooler box, the Waeco Cool Ice offers performance and functionality with style. The taller height means it can double as a chair or table and the shoulder strap allows for easy transportation. 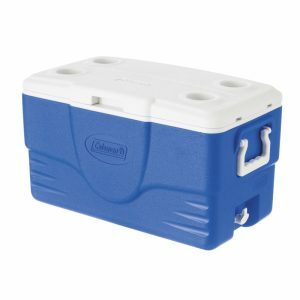 With enough space for 70 cans, the Coleman 47L Cooler will provide all the space you need for a day at the beach or a weekend camping trip. It’s ThermOZONE™ Insulation technology offers more than adequate performance and it’s durable enough to last many years. 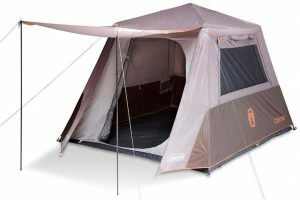 Great features include four built in drink holders and easy-carry handles.